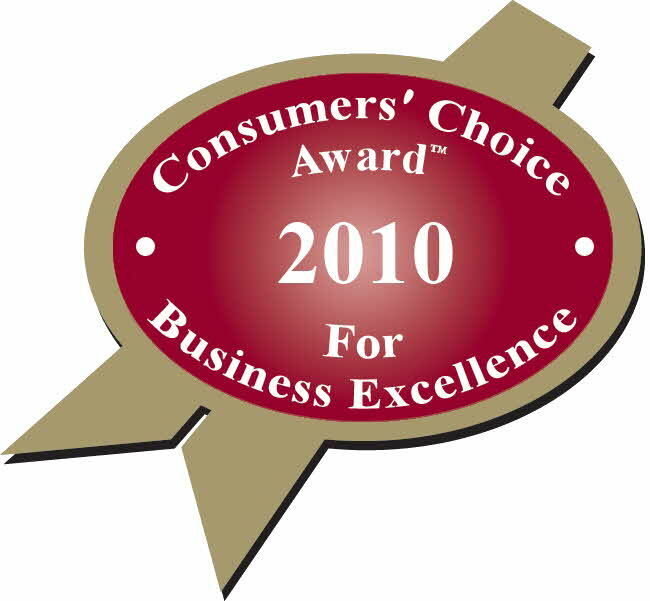 Another reason choose an American's Inspectors for your inspection ? Click on the links below to different items of interest. Expansive soils can create damaging movements shrink and swell to foundations and structures. These movements originate from changes in soil moisture. Providing uniform soil moisture next to and under your foundation is the single best thing you can have to reduce or minimize the effect expansive soil movements have on your structure. The items below are signs you can look for to determine possible expansive soil related movement. The probability that your foundation has experienced some movement increases with the number of indicators observed, their frequency and location in the structure. Diagonal (stair-stepping) Cracks in brick walls. Cracks may go through brick or mortar and vary in width. Sagging brick lines when sighting along a wall. Separation of wood trim joints at corners. Separation of concrete driveway, patio, or sidewalk from foundation. Cracks in sheet rock walls or ceilings. Bottom of wall separating from the floor. Cracks in ceramic or vinyl tile. Cracks in concrete floor 1/16th inch across or wider. Observing soil moisture changes around your foundation is possible, but what about under it? Moisture can move from outside to under your foundation through a property of soils known as suction. Soil suction is similar to placing just a corner of a dry, compressed sponge in contact with a puddle of water. In a short time, the sponge has drawn water throughout itself and grown in volume. While a water source is present, the sponge will continue to absorb water until it is saturated. If the water source is cut-off, then water already in the sponge will distribute itself evenly, but the sponge will not reach saturation. Water can move horizontally and vertically through the soils under your foundation in a similar manner. As clayey soils draw water to themselves, they too grow in volume (swell or heave) causing your foundation to move. Drying outside your foundation reverses the process. The moist soils will lose volume (shrink) as soil moisture moves out from under your foundation causing the foundation to settle. Shrinking and swelling soil motions can lead to damaging your foundation and structure. Uniform changes in soil moisture are less damaging to your structure than localized changes. Several sources of soil moisture changes are provided in the following table. You should review the list and possible actions to control or minimize the various sources. Begin practicing the suggested actions as soon as possible to improve your foundation and structure performance. Many of these actions can become a routine part of your ongoing conscientious owner maintenance activities. Annually inspect the area within 5 feet of all sides of your foundation after a rain to determine if proper drainage is maintained away from your structure. Monitor existing cracks for progressive or seasonal movements. Some of the possible actions, suggested in the accompanying table, will require an expert for assistance. Poor drainage can cause problems, lifting, sinking and movement of your foundation. Always evaluate the drainage on and ongoing basis. Non-uniform runoff from roof may result in localized heave. Maintain soil sloping away from all sides of the foundation for a distance of at least 5 feet, use gutters with downspouts that discharge at least 3 feet from the foundation. Concentrated sources of water may lead to non-uniform foundation movements. Extend dichharge a minimum of 3 feet from the foundation and use splash blocks to avoid erosion or use flexible discharge tubes. Localized source of water from rainwater flowing or ponding next to the foundation may lead to localized heave of the foundation. Slope ground away from all sides of the foundation for a distance of at least 5 feet, create drainage swales to divert water away from the foundation, keep dirt line several inches below the brick line, use clay soil fill to create positive slope away from the foundation. Do not use SANDY SOILS for fill next to foundation, use CLAYS. Compact the fill to shed water, not absorb it. Localized source of water not on all sides of foundation, may result in non-uniform foundation movements. Do not flood or pond irrigation water, slope ground surface away from the foundation, do not trap water near the foundation with edging, use mulch to slow evaporation. Valves frequently leak and joints may leak with time, resulting in localized water sources which may cause non-uniform foundation movements. Locate at least 5 feet from foundation and inspect valves frequently. Provides excess source of soil water for suction to draw moisture under foundation which may cause a stable area to begin heaving and damaging your structure. Water just enough to keep plants and grass alive and growing, not thriving and lush through saturating the ground. Concentrated source of water which can result in non-uniform foundation movements. Direct the discharge line to drip on a concrete pad or splash block which has been properly sloped away from the foundation. Loss of soil moisture from under foundation edges may cause foundation settlement. Uniformly water landscape planting and area next to all sides of the foundation, install automatic sprinkler systems, add sidewalks adjacent to the foundation. Non-uniform drying on all sides of foundation from the sun or failure to provide watering on all sides of the foundation may cause non-uniform foundation movements. Apply more landscape water on drier sides of the foundation, use mulch to slow evaporative drying, plant quality shade trees along with installation of a tree root/vertical moisture barrier. Tree roots grow under foundation and dry out soils causing non-uniform foundation settlements. Plant tree a distance greater than their mature height from the foundation. If existing trees are closer-install an approximately 4- foot deep tree root/vertical moisture barrier system near the foundation and possibly prune trees (to limit moisture stress) if barrier system is under the drip line of the tree. Water tree roots away from the foundation. Drying from roots, transpiration and soil suction may cause non-uniform foundation movements. Plant bushes and shrubs away from the foundation, uniformly water plants, do not flood or pond water next to the foundation. 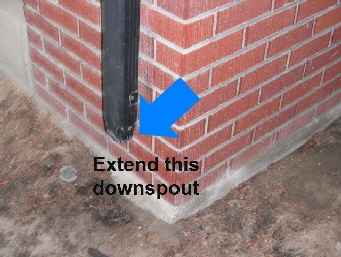 Non-uniform drying on all sides of foundation may result in non-uniform foundation settlements. Apply more landscape water than other sides of the foundation, use mulch to slow evaporation. Leaks in sewer or water lines provides localized source of water that may lead to localized foundation movements. Monitor water bills, get leak detection plumber to isolate and repair leaks, verify repairs with pressure tests. 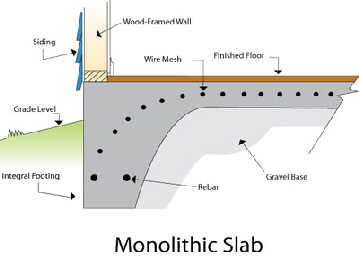 Concentrated source of water to foundation soils may result in non-uniform heave of the foundation. Install interceptor trench drain up slope to collect and divert seepage water around foundation soils and discharge down slope or to a sump. Gradual and uniform rise in soil moisture under foundation may lead to gradual heave of structure. Normal occurrence, foundation stiffness should be designed and constructed for this long term condition.